Express UK delivery (1 st class UK delivery (1-2 working days after despatch)) is between £2.99 and £5.99. Any and all offers, including but not limited to free delivery are available to non-Professional/non-Trade account holders only. Items despatched under express delivery, once processed, will typically arrive within 1-2 working days after dispatch. Items despatched under standard delivery will typically arrive within 2-3 working days after dispatch. Items despatched under express International delivery, will be processed within 1 - 2 working days. Please note, although shipped with an express service, due to the shipping regulations of nail polish, your order may take longer to arrive than non-hazardous goods. We, therefore, cannot guarantee a delivery date for international delivery. If you need to change details of your delivery address, remove items from your order or cancel it completely, please contact our Customer Services team for advice on 020 7371 9600 between 9am and 5pm, Monday - Friday. Please be ready to quote your order number and order date. If your order has already been despatched or delivered, then you’ll need to follow our returns procedure in the event of any unwanted products. To check your order status, just sign in or register at the top of the page, then click on My Account followed by View orders. You can also track your orders without signing in by going to View Order. Shipped means your order has left our warehouse. You'll receive an email confirming despatch. Depending on our chosen carrier, you may receive a separate email from us that will detail how to track your order when it has left the warehouse. If you find that your order has only been partially delivered, this may be because other items are being despatched from a different location. However, if your order is obviously incomplete, over-delivered or damaged, or if you wish to change or cancel your order, please email customer support or telephone on 020 7371 9600 between 9am and 5pm, Monday - Friday. If your order hasn't arrived, or arrives incomplete, first of all please view your order online. If your order has been despatched but hasn't arrived within the expected time period, please email customer support, or call us on 020 7371 9600 between 9am and 5pm, Monday to Friday except UK public holiday. If you've more than one item on your order, please bear in mind that products may be sent out from multiple locations and so may arrive separately. However, if this is not the case and you haven't received the entire order as detailed in the order confirmation email sent to you, please email or call us. If your order arrives and the goods are damaged, email customer support or call us on 020 7371 9600 between 9am and 5pm, Monday to Friday. Products returned without the above requirements may not be processed. Simply take the delivery note or a print-out of your order confirmation and the product you wish to return or exchange to the reception at your local Jacava salon, and tell the sales assistant you bought it online. Please note: we will credit the card you used when originally purchasing the item. This service is only available in select Jacava salons. Returns are only accepted within 14 days of receiving your product(s). You must notify us by logging into your account and selecting the items you wish to return. We want you to be happy with your purchase. If you're not, just return the product to us within 14 days in an unopened, undamaged state and in the original packaging. we'll issue a refund for the goods upon receipt and inspection approval. It's important that returned items are in a new condition, so please take care of them and keep all packaging. You must contact us before you return so that we can issue you with a Returns Authorisation Number and provide details of the appropriate return address. Please read the terms and condition carefully and do not hesitate to contact us if you require further information or clarification. If you do not accept these terms and conditions, please discontinue your purchase. This web site is made available by us, JACAVA, and all references to "we" and "us" are to JACAVA. All visitors to our web site are referred to as "you". If an order is placed after attempting to use an invalid voucher code, the order will be cancelled with immediate effect. Please note, any and all voucher codes available on the internet are NOT valid, i.e., they are invalid, for trade account holders and MUST NOT be used at any stage when placing an order online at www.jacava.com. Discount codes if and only if directly authorised by JACAVA will be for non-trade account holders only. To make a purchase from our web site, you must complete the on-line registration form. A binding contract for the sale and purchase of goods between you and us will only come into effect when we issue to you confirmation of order, whether by e-mail or by means of a Paypal invoice from that also incorporates an order reference number, and which is sent to the e-mail address provided by you on the registration form. We are not obliged to accept any order(s) you submit. We reserve the right to revise at any time the price of goods offered for sale on our web site without notice. All orders for goods are subject to availability and JACAVA reserves the right to refuse to supply to any individual or company for whatever reason. Although JACAVA tries to ensure that prices on this web site are accurate, errors can sometimes occur. (The prices as stated are therefore, indicative only but an accurate total price, including delivery charges, will be confirmed to you when we send you confirmation of our acceptance of your order.) If the price when confirmed, is not to your satisfaction your sole remedy is to withdraw your order and return the goods, to us in an unused condition, if already delivered to you. All prices shown are inclusive of VAT and are quoted in British Pounds Sterling unless otherwise stated. Payment in full is required to be made by debit or credit card through either via jacava.com or through Paypal, prior to order acceptance and or despatch of goods. Where a credit agreement exists between you and us, payment in full in cleared funds is required to be made no later than 30 days from the date of our invoice. In the event of late payment by you, we or our appointed representatives reserve the right to enter onto your premises to remove the goods. Until such time as payment is made in full in accordance with this Clause, you will keep all such goods separate and identifiable from the rest of your property. After 40 days a surcharge of 4% will be charged on the gross amount overdue levied on a daily basis. We try to deliver the goods in accordance with the delivery times and charges set out below. Please note the delivery times stated below are indicative only and we are not responsible for any delays. Neither JACAVA or their designated carrier will accept claims for consequential loss due to late deliveries. Once payment has cleared, your order will be processed within 5 working days and despatched within 2 working days after that, usually faster. Delivery varies per parcel. Parcels will be sent by our nominated carrier service or by Royal Mail. Please ask for quotation for off-shore destinations. 4 weeks delivery may apply to certain items. This will be confirmed at time of ordering. We reserve the right to make an extra charge for re-delivery if you are not available to accept or receive the goods when delivered to you. Please note any items not delivered to you will be held on backorder for you and shipped as soon as they become available. All local customs, excise, value added and import taxes are your responsibility and we will not pay these charges. In addition, we will not be responsible for any costs, fines, taxes or duties incurred as a result of goods being seized outside the United Kingdom. We will not provide any refunds or credit notes in these circumstances. It is your responsibility to inspect the goods immediately upon receipt and contact us by telephone or e-mail if you do not receive your order or the items appear to be damaged or faulty within 48 hours. If you believe you have received damaged or incorrect goods, you must contact us by e-mail or in writing within 14 working days of your receipt of the goods and provide us with your order reference number. If as part of your purchase from JACAVA free gifts were added to your order, you must return any and all of the free gifts if you choose to return any and all of your order to JACAVA. We will have the goods returned to us and will not pay the costs of the return shipping. If we do not receive notification within 14 days, any shortage, damage or other deficiency will be deemed to have occurred after delivery to you. You may most likely be provided with an returns authorisation number. You must print clearly the returns authorisation number on any items you return to us. If the returns authorisation number is not printed clearly on any and all parcels containing the items you are returning, we may not be able to process your return. If, in our opinion, the returned goods are damaged we will provide you, at our option, with replacement goods or a refund for the total costs of the goods within 30 days of our receipt of the returned goods provided you have complied with the provisions above. For your own protection, please obtain a receipt from the carrier for each package returned, as JACAVA accepts no responsibility for lost parcels. Return of all the goods, that you state are damaged, are returned at your risk. The onus and risk lies with you to ensure these products are returned and arrive with us. It is strongly advised that you insure the goods with the courier you have selected to transport the goods to us. Should the goods fail to arrive with us, we will assume that you have not dispatched the items to us. If any items fail to arrive, JACAVA accepts no liability for such and you will need to contact the carrier who insured the items to seek compensation. Should any or all of the items you state are damaged fail to arrive, JACAVA will assume that these goods were not damaged and complied with the contract. You will, therefore, not be entitled to replacement or reimbursement. For your own protection, please obtain a receipt from the carrier, for each package returned, as JACAVA accepts no responsibility for lost parcels and will not reimburse you, should the items that you state are faulty, not be returned to us. Faulty goods returned for testing can take up to 21 business days. Include a copy of your invoice or delivery note within your return. Return the products in the original packaging your order arrived within. When goods have been ordered in error or as not expected, the Company may agree to their return on the following conditions. A request must be made to JACAVA, within seven days of receipt of goods. Goods which are given free, as part of an offer, are not exchangeable or refundable in any circumstances. In describing the Products available on our web site we attempt to be as accurate as possible. JACAVA, however, does not warrant that Products descriptions or product images or other content of this web site is accurate, complete, reliable or error-free. If a Product offered by us is not as described, your sole remedy is to return the Product in an unused condition in accordance with the provisions detailed in this document. Colour reproduction may appear different on different screen resolutions. As such, JACAVA cannot guarantee accurate colour representation. To avoid ordering the incorrect colour online, please request a colour swatch or visit your local JACAVA stockist. Jacava takes the utmost care to ensure prices and the content of this website, including product descriptions, photographs and ingredients, are accurate and correct at the time of publishing. All prices are shown in Pound Sterling and exclude post and package charges. Prices may change over time. Jacava will only accept orders if there are no material errors in the description of the merchandise or its price as advertised on this website. In the event of an error or other content related issue, Jacava reserves the right to correct such error without notification. Jacava also reserves the right to cancel any order that may have been made under the pretense of such error. All prices are displayed including VAT and exclusive of delivery charges. If you use our web site, you are responsible for maintaining the confidentiality of your account and password and for restricting access to your computer. You agree to accept responsibility for all activities that occur under your account and all passwords. 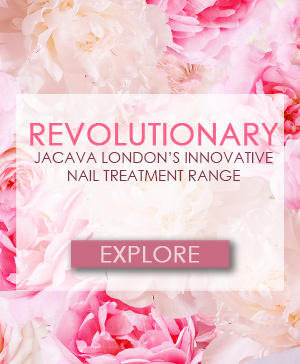 As a JACAVA Professional Customer, to place an order on this web site, you must be a trading entity (or a professional beauty therapist or hairdresser) (over the age of 16 years) otherwise you are not entitled to complete the on-line registration form required to place an order. By placing an order, you agree to the terms set out in your account opening e-mail. We reserve the right to refuse service, terminate accounts or cancel orders at our sole discretion. We will deliver the goods ordered by you to the address given by you for delivery on the on-line registration form at the time of your order and by whatever means we reasonably consider appropriate. Trade account holders must adhere to terms and conditions set out in their opening e-mails before placing an order for JACAVA London products. Free delivery is for trade account orders over £100. We will retain ownership of the goods you order until we receive full payment for the order including the applicable delivery charges (including any charges for re-delivery in accordance with statements made above). Once the goods have been delivered to you they will be held at your own risk and we will not be liable for their loss or destruction. You are entitled to cancel your order for unopened and unused goods in their original condition (except in respect of an order for bespoke product(s).) at any time up to the end of the seventh working day after you submit your order. You must contact JACAVA London via e-mail to request a Returns Authorisation Number before returning goods. To vary or withdraw your order you must notify us in writing at the address set out in the contact details below. All products are subject to stock availability. If we have insufficient stock to deliver the goods ordered by you we may, at our option, send a carefully selected substitute, alternatively, any sum debited to your credit card will be re-credited to your account and we will notify you by e-mail at the address given by you in your registration form. The refund will be made as soon as possible after such notification and in any event within thirty days of receipt of your order. We will not be obliged to offer any additional compensation for any other costs incurred, including but not exclusive to any loss of earnings, any loss of time, any nuisance and or inconvenience, and or any other expenses, will not be refunded. When a Voucher Code requires a minimum spend, the minimum spend excludes delivery fees, taxes, samples and tester products. When returning items from your order, if you used a discount voucher and your order no longer qualifies, the voucher value will be deducted from your refund; if you used a free gift voucher and your order no longer qualifies, the free gift must be returned or its value will be deducted from your refund. When a Voucher Code provides a free gift, the free gift is not eligible for exchange or refund. Jacava shall not be held liable for any damages, injury or illness caused by the misuse of any product. It is the sole responsibility of the customer to read all product instructions carefully, to use the product strictly for the purpose it was designed for, and to ensure that the product is used in a safe and reasonable manner. Jacava shall not be held responsible for any damages, injury or illness that occur due to an allergic reaction, or as the result of any other unforeseen occurrence. The trade marks, logos and service marks ('intellectual property') displayed on our website are the registered and unregistered marks of Jacava, and are protected by UK and international trade mark laws. Except in connection with placing an order for merchandise or as required by applicable law, you may not use, reproduce, duplicate, copy, sell, resell, access, modify or otherwise exploit our intellectual property without our prior written consent. JACAVA and the hosts of this web site accept no responsibility for and exclude any and all liability in connection with the use or misuse of any Products purchased on this web site. We will be entitled to set off any or all sums due by you to us against any or all sums due by us to you. OTHER THAN AS EXPRESSLY SET OUT IN THESE CONDITIONS, JACAVA MAKE NO REPRESENTATIONS OR WARRANTIES OF ANY KIND, EXPRESS OR IMPLIED, AS TO THE OPERATION OF THIS WEB SITE OR THE INFORMATION, CONTENT, MATERIALS OR PRODUCTS INCLUDED OR SUPPLIED ON THIS WEB SITE. JACAVA AND THE HOSTS OF THIS WEB SITE, THEREFORE, EXPRESSLY DISCLAIM ANY AND ALL WARRANTIES, EXPRESS OR IMPLIED TO THE EXTENT PERMITTED BY LAW INCLUDING BUT NOT LIMITED TO WARRANTIES OF SATISFACTORY QUALITY, MERCHANTABILITY OR FITNESS FOR A PARTICULAR PURPOSE WITH RESPECT OF THIS SERVICE, OUR PRODUCTS OR ANY MATERIALS. EXCEPT IN RESPECT OF PERSONAL INJURY ARISING FROM NEGLIGENCE, JACAVA AND THE HOSTS OF THIS WEB SITE HEREBY EXCLUDE LIABLITY FOR ANY CLAIMS, LOSSES, DEMANDS OR DAMAGES OF ANY KIND WHATSOEVER WITH RESPECT OF ANY INFORMATION AND/OR SERVICES AND/OR PRODUCTS PROVIDED ON OR THROUGH THE WEB SITE INCLUDING BUT NOT LIMITED TO DIRECT, INDIRECT, INCIDENTIAL OR CONSEQUENTAL LOSS OR DAMAGES, COMPENSATORY DAMAGES OR LOSS OF PROFITS OR DATA WHETHER BASED ON A BREACH OF CONTRACT OR WARRANTY, DELICT OR TORT (INCLUDING NEGLIGENCE) PRODUCT LIABLITY OR OTHERWISE. We reserve the right to terminate immediately your ability to use any of our internet services at any time. These terms and conditions of purchase constitute the entire agreement between us and you relating to the purchase of our products and supersedes all other agreements or understandings between us and you. Failure or neglect on our part to enforce at any time any of the provisions in these terms and conditions shall not be construed nor shall be deemed to be a waiver of our rights hereunder nor in any way effect the validity of the whole or any part of these terms and conditions nor prejudice our rights to take subsequent action. If any provision in these terms and conditions is deemed to be illegal or unenforceable by any competent authority such terms and conditions shall to that extent be severed from the rest of the provision of these terms and conditions which will remain in full force and effect. We will not be liable for any failure or delay in performing our obligations due to circumstances beyond its reasonable control. JACAVA is owned by an English company and English Law shall therefore govern all transactions on this web site. You acknowledge and agree that the English Courts shall have exclusive jurisdiction for the resolution of any disputes arising from these terms and conditions or any orders placed on this web site. The contract between us shall be governed by the law as of England and any dispute will be resolved exclusively in the courts of England. English is the only language conclusion of the contract.